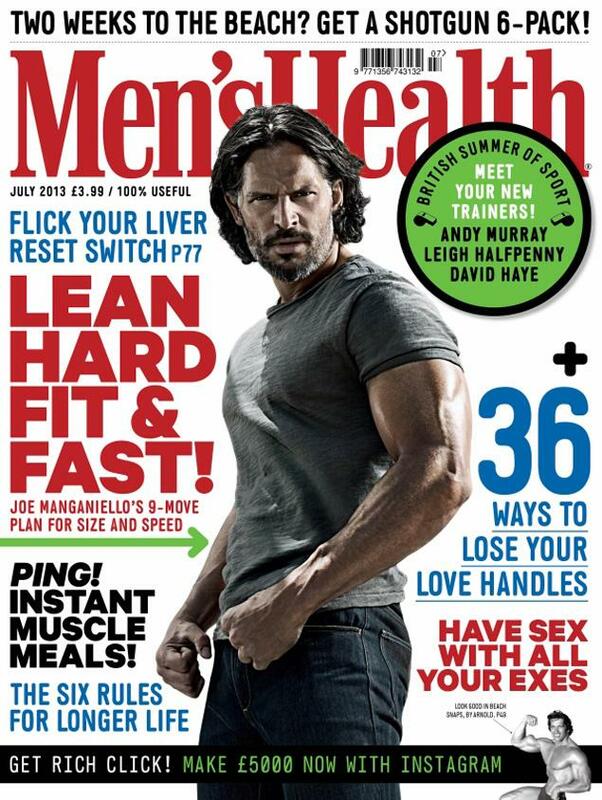 'True Blood' star Joe Manganiello flaunts his amazingly sculpted physique in the July 2013 issue of Men’s Health UK. Here’s what the 36-year-old had to share with Men's Health. Arnie was a hero to me. He’s the reason why every guy of our generation started going to the gym. To film with him for four months was awesome. And he still trains every morning. Joe is photographed by Patrik Giardino.